I have been playing with the 1600mw laser and one thing i have noticed is that i cant use it to trace an outline. I mean that it will always cut across the chosen axis in lines rather than control both the X and Y axis to folow an outline. Am i missing something? SnapMaker as a Stencil Cutter? SVG (vector images) - the laser will follow the paths on the svg (which you could think as the outline). There are many ways to convert between formats. What kind of image are you trying to engrave/cut? I’m trying to cut thin plastic to make a solder paste mask for a PCB. I think i can export the image as an SVG which will make a whole lot of difference i guess. Well here it is. Pretty pleased with the results. 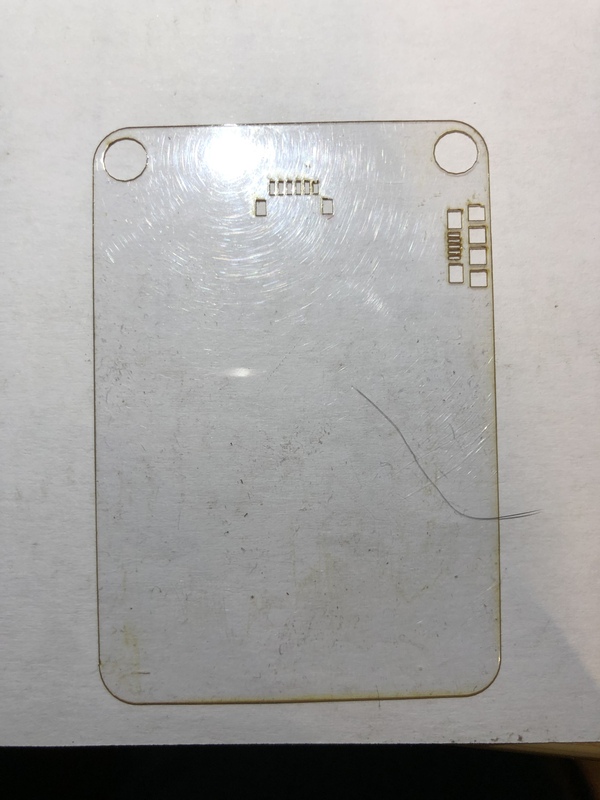 One home made PCB stencil ready to be used.